A cityscape or skyline is a gorgeous view, especially when you’re looking from a distance. If you’re proud of where you’re from, and you’re looking into outline tattoos, consider getting a skyline of your home city. You can encompass as much, or as little, as you want of the city, including your favorite landmarks. Big cities are the most recognizable, but if you come from a smaller town and want to rep its beautiful view, you’ll get a totally unique outline tattoo designed. The best way to get an accurate depiction of a skyline, with all of the landmarks you want, is to have a photo to show your artist. 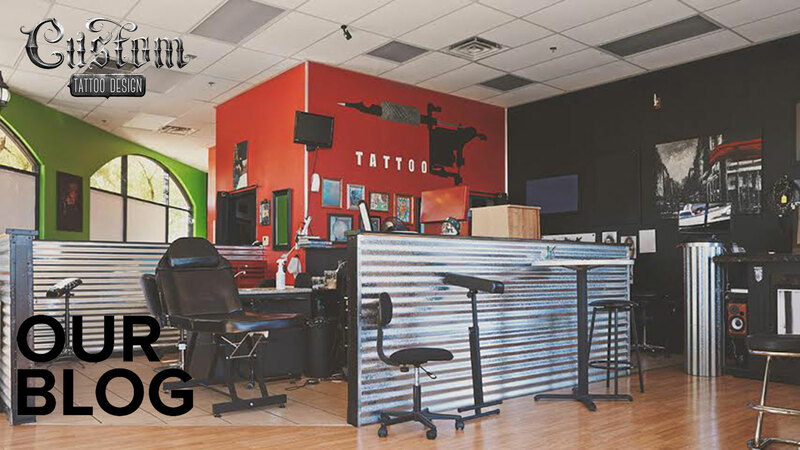 An outline tattoo is a simple, geometry based style, so it won’t take them long to sketch down the skyline in the size that you’re after. Animals are a very popular choice for outline tattoos. The design can be as simple or as intricate as you want, as long as the overall piece contains no shading or filler. Animal tattoos hold all kinds of different meanings, so if you feel like the symbolism of a certain animal resonates with you and you’re looking for a simple design, an outline tattoo is the perfect way to go. Wolves, lions, and the other power-animals are common design choices, but pet portraits and silhouettes are great in this style as well. Plants make beautiful tattoos in general, but there’s something exceptional about a simple outline of a plant, particularly, a flower. You can add a lot of depth to a plant tattoo by the use of different outlines, so by no means does going a minimalist route diminish the detail that can be included in your piece. Defining each petal and leaf is part of the overall design, which can easily be done as an outline without the use of shading. Abstract art, especially in the form of Picasso-esque faces, makes incredible and unique outline tattoos. Some of the most eye-catching outline tattoos are abstract faces, but you can play with the shapes and placement to form an abstract version of whatever it is you want done. The linework and outline is key to this kind of design, and it’s one route that gives you and your artist unlimited artistic freedom in what you come up with. Any geometric design looks great as an outline tattoo, because geometry is a simple, yet complicated structure at its core. A simple shape can hold a lot of meaning, and it doesn’t take shading or color to make it more so. Geometric outlines of animals like wolves, bears, and dogs are some of the most common designs that are seen in this style, but there’s no limit to what you can do with geometric outline tattoos. Avid travel bugs, this one’s for you. Country or continental maps are a great design choice for outline tattoos, especially if you want to add some small details here and there to personalize it even more. You can add as many or as few countries to the design as you want, including only places that you’ve travelled to, or that are meaningful to you. If you’re hoping to get an outline done of a country done, help your artist out and have a photo or image of the map location you want outlined. Knowing the exact shape and coordinates of any given country isn’t really common knowledge, so if you have a specific place in mind, be prepared with something when you contact your artist. Outline tattoos may be a simplistic style, but the designs themselves can hold a lot of meaning. 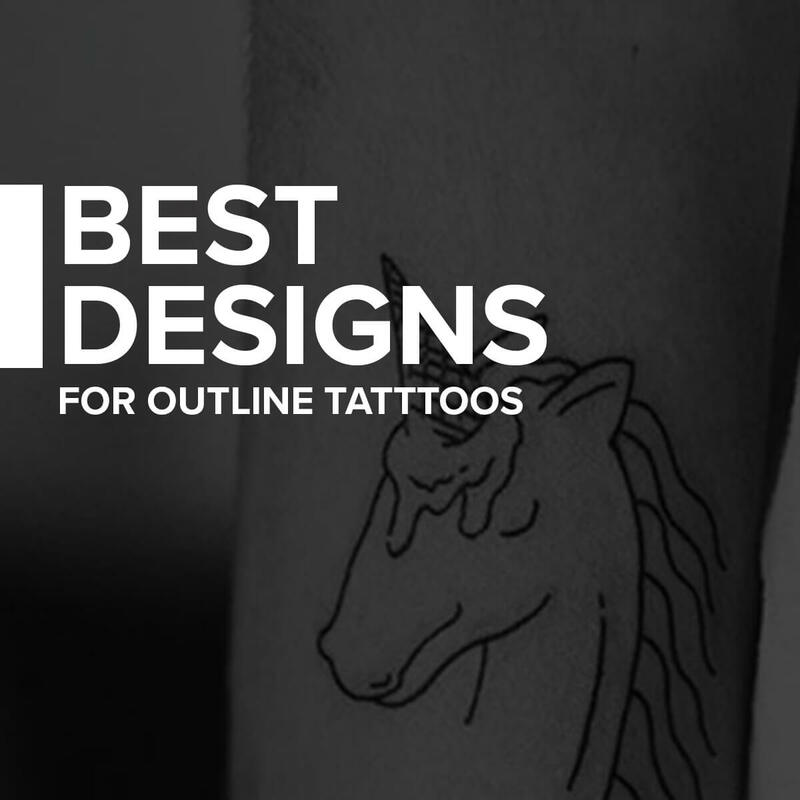 Designs that are based in nature and shapes work best with this particular kind of tattoo, and the key to an outline design is that you include no shading or filling in once it’s done – it’s just the outline as it is, and that’s what makes outline tattoos one of the best minimalistic styles out there. Do you have an outline tattoo? Let us know in the comments!